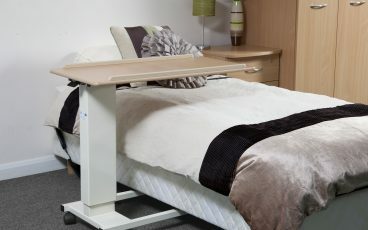 Our overbed tables are all easy to move around and are height adjustable, great for resting items such as plates, cups, books or remote controls. 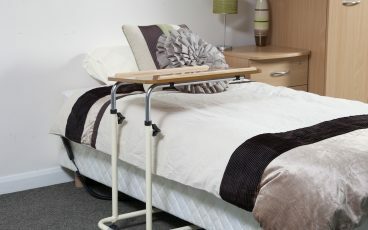 Adjustable bedrails designed to prevent falls and injury. 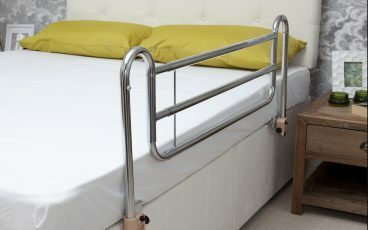 Easily fitted to divan beds. 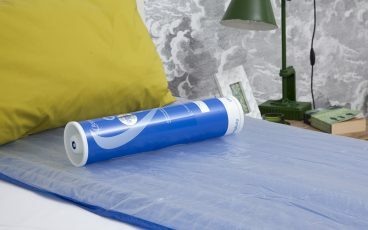 Holds duvets/sheets aloft of the mattress, enabling you to stay warm while keeping weight off injuries and dressings. Provides a rail to grab onto. 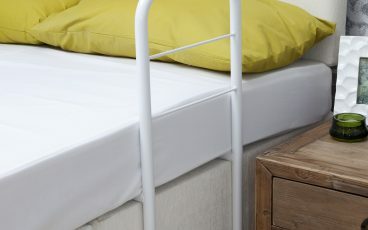 Large base frame slots under the base of your mattress for maximum stability. Helps keep important items within easy reach. Laminated teak finish. Featuring a spring-loaded height adjuster, controlled with an easy-to-use lever to avoid fiddly manual fixing.